Made his debut with Mladost Zemun (Serbia) during the 2000-01 season, signed for the 2001-02 season by Radnicki Belgrade. Signed for the 2004-05 season by KK Sloga Kralijevo. Signed for the 2006-07 season by Ergonom Best Nis. Sigend for the 2007-08 season by KK Zdravlje. Moved to Slovenia for the 2008-09 season, signed by Zlatorog Lasko. Signed for the 2009-10 by Krka Novo Mesto. Moved to Romania for the 2010-11 season, signed by BC Steaua Bucurest. On February'11 back to Serbia, signed by OKK Belgrade. 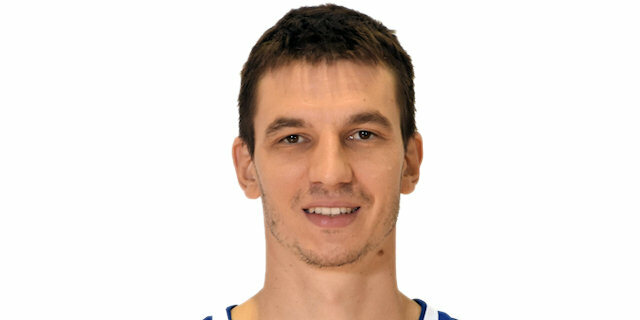 On January'12 moved to Slovenia, signed by Krka Novo Mesto. Moved to Romania for the 2015-16 season, signed by CSM CSU Oradea. Won the 2009-10, 2011-12 and 2012-13 Slovenian National Championshp with Krka Novo Mesto. Won the 2014-15 Fyrom National Championship with MZT Skopje. Won the 2015-16 Romanian National Championship with CSM CSU Oradea. Played the 2009 Slovenian All Star Game.